Fifty years ago, Julie Andrews sang “My Favorite Things” on the silver screen during The Sound of Music. Her list included raindrops on roses, whiskers on kittens, bright copper kettles, and warm woolen mittens. It did not include surgery, and it specifically did not include oral surgery. No one looks forward to surgery, but we realize it is often the best option for our health or other personal reasons. Nevertheless, you may have even been to a cold, uncomfortable office where bad service was part of the package, too. At North Shore Oral and Maxillofacial Surgery in Buffalo Grove, we realize you probably aren’t coming to us feeling like singing. When we started our practice, we set out to do something different. 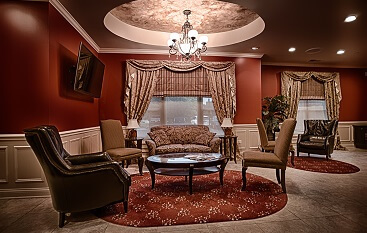 Our goal is to give our patients a comfortable (and maybe even desirable) dental experience. If you are considering oral surgery for tooth removal, dental implants, or any other reason, we want to show you that patient treatment and service can go hand-in-hand. That’s why we offer these suggestions if you are considering or planning to have oral surgery. 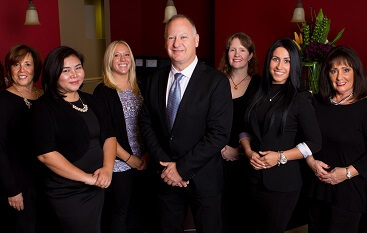 Our staff knows that good preparation can make any dental procedure run smoother. This is more effective and efficient for our patients. In most cases, we schedule oral surgeries between 7 a.m. and noon. You can help by arriving on time. When we stay on schedule, it‘s better for you and our other patients. As part of your preparation, you should fast for at least six hours before your procedure. If you eat or drink anything (including water) within six hours of the surgery, we may have to postpone the operation. We don’t want to do that, and we’re sure you don’t either. You have a busy schedule, and having to reschedule your surgery isn’t convenient for you. Another way you can save some time is by filling out information through our website before your procedure. Please provide us with a list of any medications (prescription or over the counter) and supplements that you are be taking. Also, provide any insurance information so we can make sure you receive your maximum benefits. And if your primary dentist has X-rays, they can be emailed to us prior to your surgery. These images are beneficial to the surgeon as he prepares for the operation. In many cases, you will need to be sedated for your procedure. We encourage you to arrange for someone else to drive you home after your surgery. Once your oral surgery is over, you will need time to recover. Your mouth will need to heal, just like your arm or leg would if you had surgery on those parts of your body. • Bleeding is normal up to 48 hours after a procedure. If this happens, put gauze or a moist tea bag over your wound. Close your teeth to hold the gauze in place for 60 to 90 minutes. • You may feel some pain. You may take an over the counter pain reliever every four hours as needed, or you may receive a prescription medication. If you receive a prescription, please use it only as directed. That includes eating something to avoid taking the medicine on an empty stomach. • Ice can be used to keep down swelling. • Eat soft foods and liquids during the first 24 hours after your operation. As you heal, you will be able to return to your normal diet. • Oral hygiene is part of your recovery. You should not rinse for 18 hours after your surgery. After that time, resume brushing your teeth. A week after your procedure, you should gently rinse with salt water daily. Limit physical activities as you recover. You should do as little physical activity as possible on the day after your surgery. In most cases, you should avoid spots for up to four days. You can find more tips on our website. If there is an emergency, you can call 847-276-2500 anytime day or night. We know coming to the dentist — much less for oral surgery — isn’t going to get you excited. With that in mind, we’ve learned from our own bad customer service experiences, and we built our practice around making your visit with us as positive as we can. 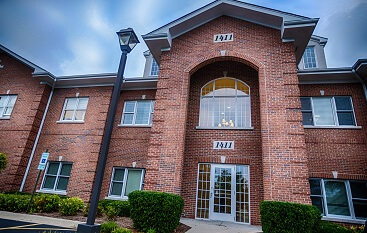 If you need dental implants or your wisdom teeth removed in the north Chicago area, North Shore Oral and Maxillofacial Surgery will go above and beyond your expectations. Call us at (847) 613-4933 to schedule your procedure.